Foundation is the base of every glam look. Without a perfect canvas, it’s hard to play around with different techniques, textures and colours on our face. To me, applying foundation takes majority of my time and I love investing good fifteen minutes to get that perfect foundation look. Today’s post has some interesting foundation facts for all you beauties which may surprise you a bit. Let’s begin. Yes, you read it right. If you really want to up your foundation game, make sure you have different shades of your favourite foundations for all year round. You can’t get perfect complexion with just one shade. In summers, we get tanned and in winters our skin tends to get one shade lighter. So, to match our changing complexion throughout the year, we need different shades of foundation. You must shake your foundation bottle well before using it. Sometimes, the oils in the formula tend to float on the top and without shaking you won’t get the perfect mix for your base. Applying without shaking results in sheer oily coverage or watery in case your foundation is water based. Also, you won’t get proper coverage because of less pigment. Be it MAC, Chanel or Gucci, it won’t look good on you if you haven’t prepared your skin well. Preparing skin before foundation involves multiple steps. It starts from cleansing, then toning, moisturising and applying an apt primer according to your skin type. Exfoliating is one more important step you must try adding to your skincare regimen, if you feel your skin texture looks uneven after applying foundation. This will help you in getting rid of all the dead skin cells responsible for that. You are not a complete matte-look girl not a totally dewy-look lover, so in this case, don’t hesitate to mix two foundations to get a semi-matte, naturally-dewy look. Two foundations can be mixed to alter the colour and increase or decrease their consistency. A lighter foundation can be added to a darker one to lighten it or can be used alone as a highlighter on cheeks, bridge of the nose and chin. You can totally change the undertone of a foundation by mixing another in it. You just need to be a little artistic to find out all the amazing combinations and uses. 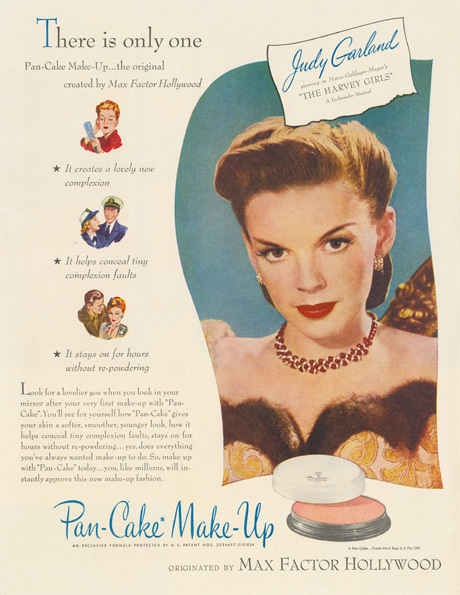 The first commercially available foundation was Max Factor’s Pan Cake, which had a breakthrough formula, called foundation and powder in one. One formula doesn’t work for every season. And, for this reason you will need to switch to different foundation in every season. In summers, use a matte finish foundation to tackle the oily t-zone and in winters, go for a moisturising foundation to save your skin from looking patchy and flaky. Also, powder foundations or cream foundations can be chosen according to the need of your skin as it behaves differently in all seasons. A right formula with a right shade surely works wonders for your face. 6 Foundations Celeb Makeup Artists Swear By!